The New York Times praised Maeve Höglund as “a striking soprano,” and one who “stands out among singers.” In her recent performance of Le nozze di Figaro with Opera Maine, Opera News proclaimed, "Maeve Höglund was a charming, fiesty Susanna, and her stellar soprano brightened the ensembles. Her fine rendition of 'Deh vieni, non tardar' was equally impressive for its warmth and feeling." 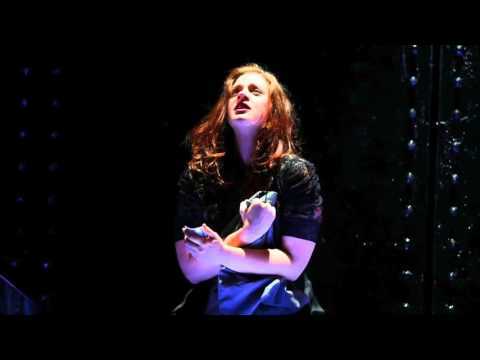 And DC Metro Theatre Arts lauded her performance in David Hertzberg’s new opera The Wake World: “The cast is headed by soprano Maeve Höglund as Lola.... she emerges as a superstar who encompasses brilliant high notes and chesty low ones with strong dramatic flair and believable acting." Maeve Höglund announced in Opera Maine's production of "Figaro"
Soprano Maeve Höglund will sing the role of Susanna in Opera Maine's summer opera Le Nozze di Figaro. The production will open on July 25 with an additional showcase on July 27. "Figaro” will be the opera featured as part of Macy’s new “Opera For All!” initiative. "All Lucias are judged by their mad scene, but from the moment Höglund offered us her "Regnava nel silenzio" in the first act, we were promised good things to come... she has a seamless column of sound, and an instrument flexible enough to take on what is some of the most demanding coloratura singing in all of opera... Höglund's singing is compelling but so is her acting, which was more restrained, but as effective, as another great actress-singer and interpreter of the role, Anna Netrebko."